As the leading manufacturer of paper products testing instruments, PNSHAR was founded in 2007, located in Hangzhou city, very near to Shanghai. PNSHAR has a management te am with an international vision, a large number of industrial experts and young technical talents in testing instruments industry (more than 90% is senior technical staff and university academic staff) are working together in PNSHAR, they are full of energy and passion to keep up with the international technology of testing machines, with excellent technological innovation and a wealth of creativity. PNSHAR is focusing on the R&D, production, sales of testing machines for physical properties of various types paper product, the leading brand for intelligent testing instruments used in paper-making, corrugated and paper product industries, such as pulp & paper making, corrugated box packaging, honeycomb paperboard, edge paper protector, soft plastic packaging, printing, textile, tobacco and motor industries. As a reliable company with ISO certificate, PNSHAR has the National production license for manufacturing the lab instruments and measuring equipement (License No. : CMC 01010412). As one National High-tech enterprise, one provincial science and technology enterprise, PNSHAR has one municipal technology R&D center, has 16 models of national software products, 9 national patents, as well as more than 20 national copyright software products. 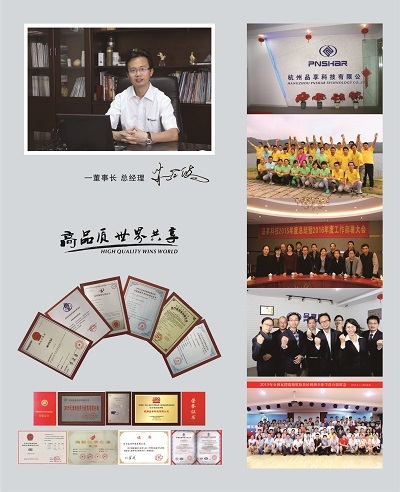 As a member of the National Paper Industry Enterprise Standardization Committee, China National Household Paper Industry Association, and China Packaging Federation, based on “ Quality is our life, innovation for our development” principle, PNSHAR technology is at the top level in Chinese market, some products have reached the international advanced level. Based on high quality and reliable performance, PNSHAR products have been exported to about 50 countries in East Asia, Middle East, Europe, North America, South America, Africa etc, such as Germany, Spain, Thailand, Indonesia, Czech, Italy, Hungry, Latvia, Singapore, South Korea, Brazil, Peru, Argentina, Viet Nam, India, Iran, South Africa, Egypt, Cameroon, Costa Rica, Australia, etc. High quality wins the world, adhering to the core concept of “Truth-seeking, Innovation, Pioneering and Enterprising” the aggressive PNSHAR people is holding the banner of self-innovation highly, based on quality-oriented principle, the customers’ requirement is our target, we try our best to be the first Chinese world brand in testing machine industry, and try our best to be one of the best producers of paper & corrugated testing machines.